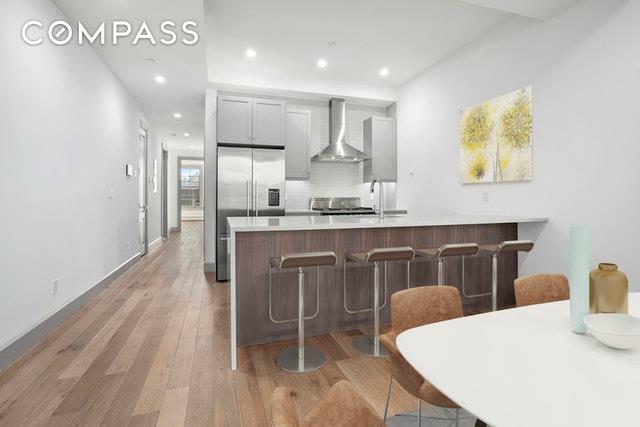 80 Lefferts Place 2A, located in one of Clinton Hills most desirable buildings, The Lefferts Place Mews, is an expansive, well built and thoughtfully designed 2 bedroom, 2 bath home which spans close to 1300 square feet. The moment you enter the apartment you will not only see the quality of the craftsmanship but you feel the solid workmanship throughout. The open floor plan offers a spacious living room with floor to ceiling casement windows, plenty of space for dining and an absolutely amazing kitchen. You will find 10 foot high ceilings, Siberian Oak flooring and custom mill-work throughout the. The well designed kitchen is the center of the home. 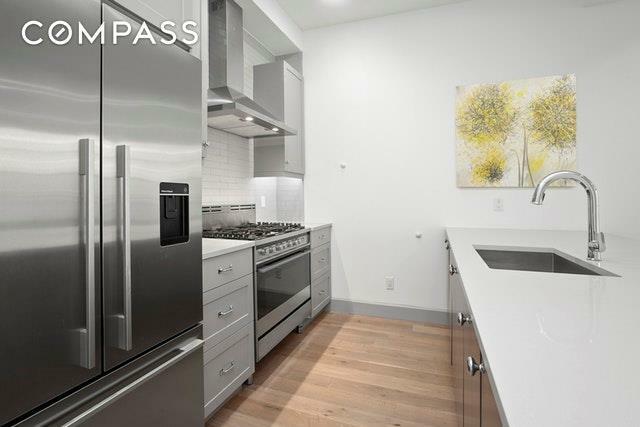 The Brooklyn built, custom grey and walnut cabinets are complimented with solid grey Caesarstone counters, a classic grey tile back-splash and Fisher and Paykal appliance package that includes a 36 inch 5 burner oven and a vented hood. The 8 foot island will be a place where memories are made - whether youre showing off your culinary skills or just gathered around with family or friends this really is the heart of this home. The master suite can easily accommodate a king bed and has a sumptuous en-suite bath thats wrapped in Haisa marble and even has heated floors to make those cold mornings a little easier. The second bedroom is generous in size and has an enormous closet. Some other key features to note about this home would be private storage, central air-conditioning, northern and southern exposures, laundry in the apartment and incredibly low common charges (24 cents per square foot). 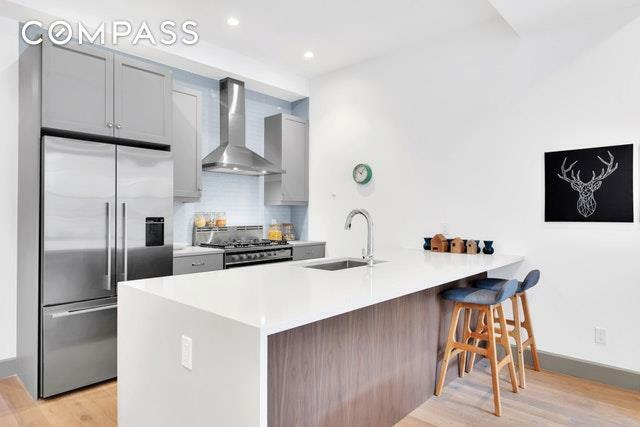 Centrally located you not only have Clinton Hill to enjoy but also Bed Stuy, Prospect Heights and Crown Heights at your fingertips. You will be able to enjoy places like Otway, Emily, Sisters. Locanda Vini & Olii, The Finch and Sisters and pubs including Hartley's, Mekelburg's, Hanson Dry, Weather Up and so much more. 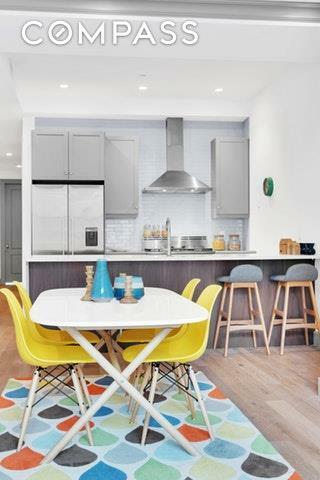 The Lefferts Place Mews offers some of the most amazing spaces in Brooklyn in one of the most desirable locations. Building is eligible for the PRIMARY TAX ABATEMENT reducing the current tax bill by 17.5% This is not and offering., the complete terms are with the sponsors office. Cd 14-0182.